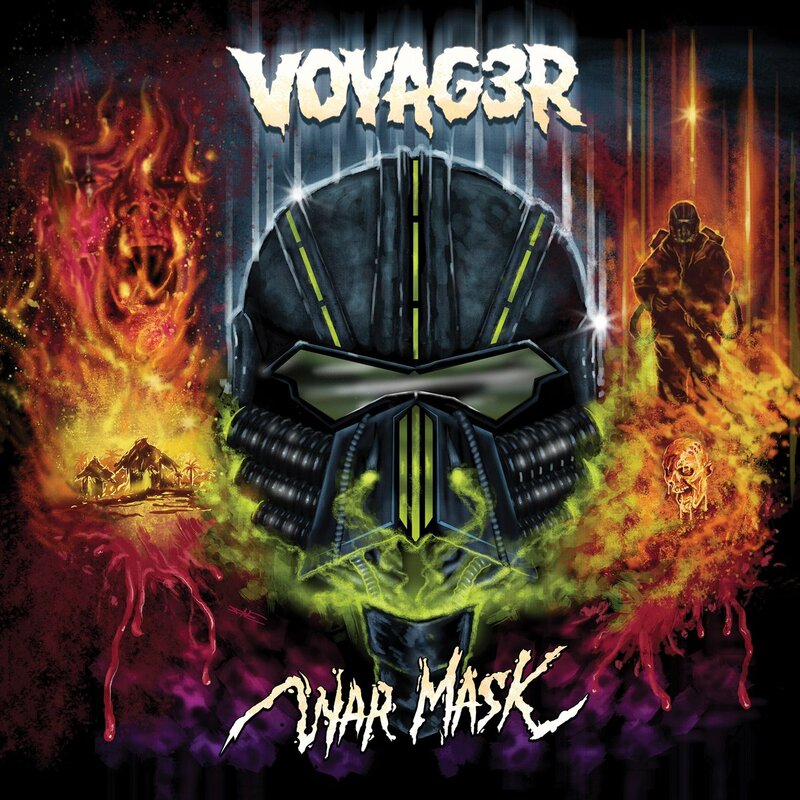 Voyag3r (pronounced Voyager 3) return with their 3rd studio album, War Mask. 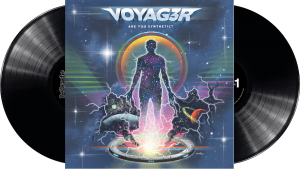 Expanding on the sonic pallet the band created with their debut, Doom Fortress, and follow up 2xLP, Are You Synthetic?, Voyag3r deliver a diverse, dark and dynamic collection of songs, including a cover of the King Crimson classic, Red. Heavier tracks, such as Ancient Enemies, bring the rock element to the forefront, while more open tracks like Sequenza Di Mezzanotte, showcase a 70s vibed, organic sound. War Mask was self-produced and recorded at the Tempermill studios in Ferndale, MI, using their Harrison 3232 custom console and MCI 2” 24-track tape machine. As with the previous V3 albums, the artwork was done by Slasher Dave. PRE-ORDERS ARE LIVE FRIDAY, MARCH 29 at 8am EST! Voyag3r has previously sold out of all special edition variants of their albums, and produced a 2nd pressing of Doom Fortress. Two tracks from Doom Fortress, One’s True Intentions and Il Guanto Nero, were licensed for Rowdy Roddy Piper’s last film, entitled Portal To Hell, directed by Vivieno Caldinelli. 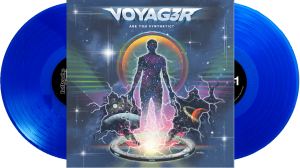 Voyag3r also contributed an exclusive track, Appearance of the Mysterious Traveler, to the Lake Shore Records soundtrack album to the documentary film The Rise of the Synths, directed by Ivan Castell. What makes this companion release possible is the documentary behind it all, which was primarily funded by an expansive crowdfunding effort. 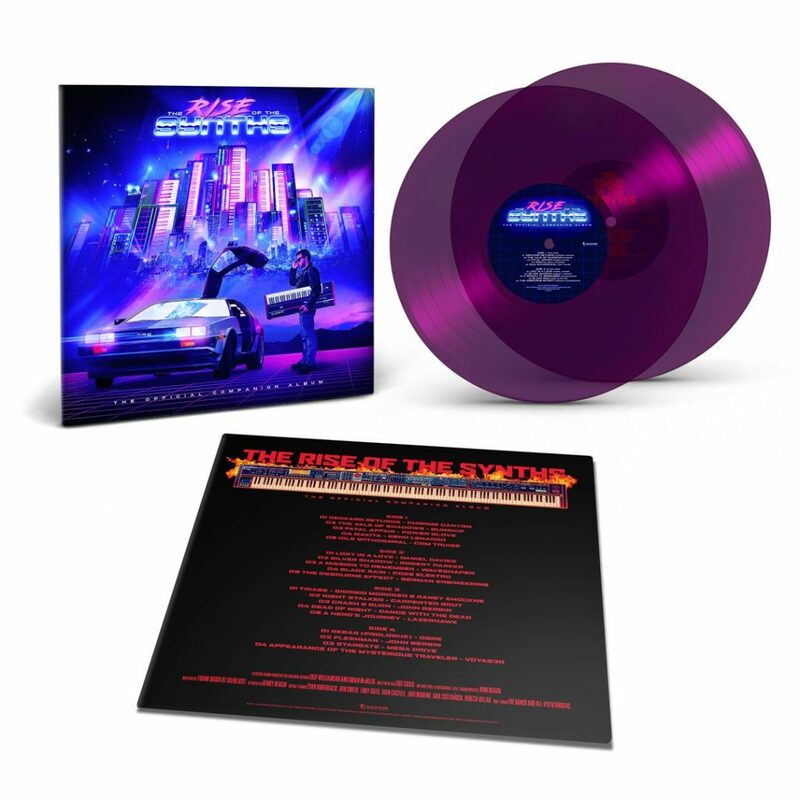 Director Ivan Castell and producer Javip Moreno are traveling the world interviewing both pioneering synth musicians and the artists inspired by them — Drive artists Electric Youthand College; Miami Nights 1984; Com Truise; Dance with the Dead; Maethelvin; The Midnight; Betamaxx; Futurecop!, Kristine, OGRE, Carpenter Brut, Lazerhawk, Perturbator, Mitch Murder, and so many more. Castell and Moreno are also interviewing music journalists, tour organizers, and others involved in the scene. For more information, read up on the documentary and its scope. It’s an inspiring endeavor.